Wow! 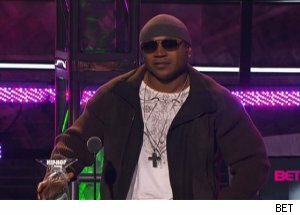 James Todd Smith aka LL Cool J gave an amazing acceptance speech at the 2011 BET’s Hip Hop Awards this past Wednesday, October 12th. The mind blowing lyrical speech was given after receiving the Hip Hop Icon Award. And to think I actually missed the awards show and heard it wasn’t all that great. LL Cool J’s speech was definitely something special shared to the masses. ← TKKT News: Finally the Troops are Coming Home!! !